Located in the south of Italy, on the Sorrentine Peninsula, the Amalfi Coast is a popular tourist destination. It provides a wonderful mix of traditional villages and towns, Mediterranean beaches, and a lovely, warm temperature all year round. 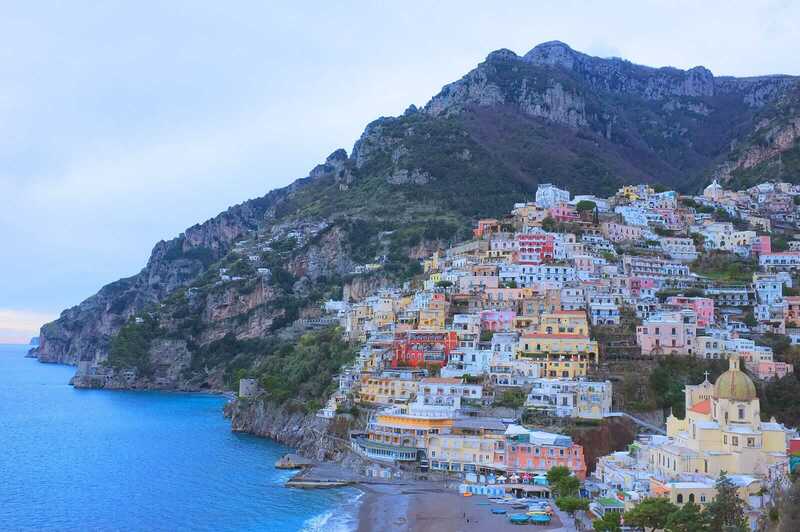 To help you get the most out of your visit to the Amalfi Coast, here’s the Avventure Bellissime guide to this picture perfect stretch of Italian coastline. For the most part, the Sorrentine Peninsula is an unspoiled part of Italy, a beautiful stretch of rugged coastline full of sublime vistas and picturesque, quintessential Italian towns and villages. Part of the wider Campania region, this part of Italy has been a popular tourist destination since Roman times. But, this part of the country does attract a high number of visitors in the peak summer months. So, a trip at a quieter point in the year is advised! Book a private 10-day Amalfi Coast trip here. There are several towns to visit and explore on a trip to the Amalfi Coast, each one providing a different view of life in this part of Italy. Here are some of our must-visit recommendations when visiting the Sorrentine Peninsula. Amalfi is a wonderful town to visit on an Italian holiday. Rich with great views of the coastline, and known for its dramatic cliffs, and its outstanding architecture, Amalfi is a fitting namesake for the coastline itself. Then there are the ruins of Pompeii and the stunning view of Mount Vesuvius. 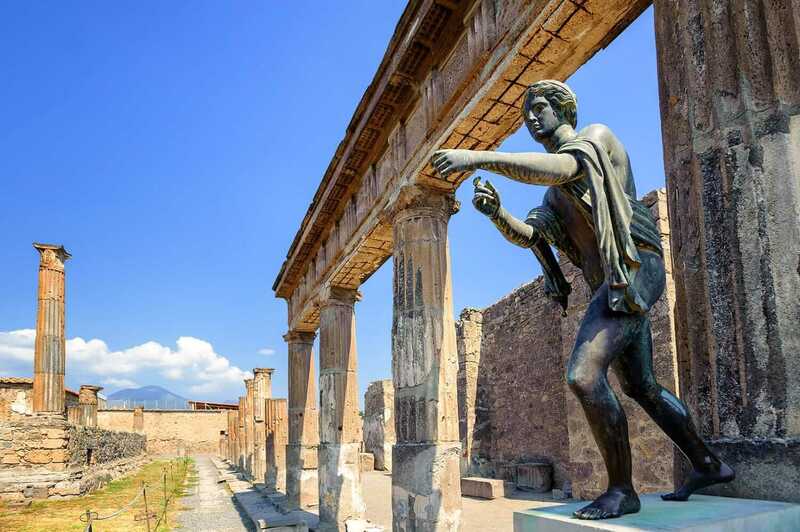 Pompeii lets you see how the Romans lived, and this well-preserved town is replete with bathhouses, temples, markets, and artwork that date back thousands of years. Why not book a tour of Pompeii and see this storied place for yourself? Described as the pearl of the coast, Positano is full of beautiful boutiques for visitors to explore. This lovely Italian town stands out thanks to its pink and blue terracotta houses. The town itself provides a great snapshot of life on the Amalfi Coast – it really shouldn’t be missed! If you’re looking for the best views of the Amalfi coastline, head to Ravello. 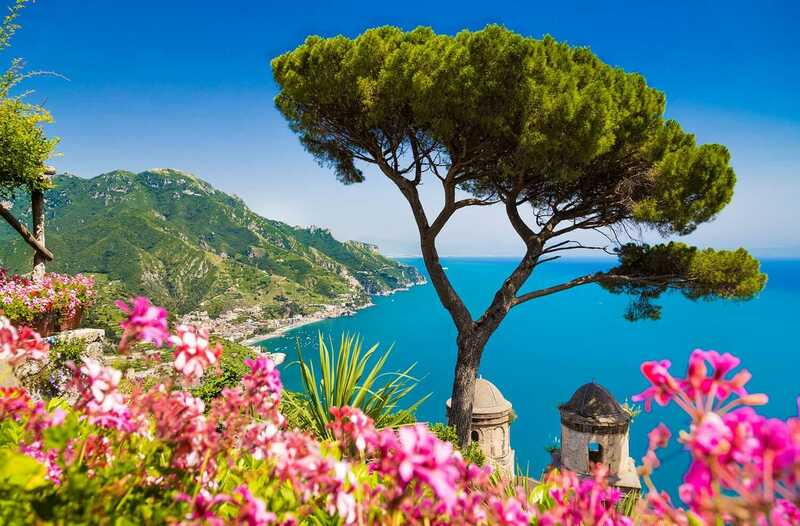 Climb up to the Villa Cimbrone Gardens and you’ll enjoy a wonderful vantage point looking out over the deep blue waters and along the rugged coastline. This lovely small Italian town is famous for its music festivals and its high-end hotels, too. If you’re truly seeking out the best views of the Sorrentine Peninsula and the Amalfi Coast, and you don’t mind a climb, take the Path of the Gods. This path offers some of the best panoramas of this part of Italy, (you can see out to the island of Capri!) and it’s a great example of why the Amalfi Coast is a World Heritage Site. The Path of the Gods isn’t an easy route to take so make sure you’re comfortable with heights, and OK with a bit of a climb before committing! From lovely Italian towns, to stunning views out across the Sorrentine Peninsula, the Amalfi Coast is full of great places to explore. If you’re considering where to visit on your next Italy trip, put the Amalfi Coast at the top of your list. There truly is something for everyone here! If you’d like to book a tour of the Amalfi Coast or the surrounding area, get in touch with Avventure Bellissime. We’d be delighted to help you see more of our beautiful country!